Land use change – One Billion Hungry: Can We Feed the World? Around the Budongo forest, expanding sugarcane production, the establishment of tree plantations and forest loss have altered the landscape. In this rural area where nearly all households have a home garden or farm and, as such, rely, to varying degrees, on the food produced on their own land, such land use change can have a dramatic impact on livelihoods, diets and nutrition. Be it because of an increased incidence of crop raiding, unreliable weather patterns and seasons, or soil erosion, all thought to be a result of forest loss in the area, the changing landscape is a cause for concern among those who live there. A key element of the research in this landscape is to try to understand the links between land use change and food and nutrition security. As a first step this included investigating current levels of food insecurity, the diets of local people, how households characterise food security and what the drivers of food insecurity might be. In Uganda, 48% of households were food energy deficient between 2009 and 2010 and the number of people suffering from hunger has increased from 12 million in 1992 to 17.7 million in 2007, mainly due to high population growth. In several blogs we’ve discussed topics around minimising trade-offs and balancing competing land uses at a landscape scale, particularly in terms of agriculture and environmental goods and services. Many theories and methods of analysis have been suggested that aim to reconcile competing interests and objectives in a landscape and, while fascinating and valuable, these endeavours rarely seem to feature the views of the people that live in such landscapes nor is it always clear how findings relate to current social and political settings. As part of my PhD research on the potential impacts of land sparing and land sharing on forest habitat, ecosystem services, incomes and food security in a rapidly changing landscape, I recently spent several months in western Uganda, around the Budongo Forest Reserve meeting farmers, local government, NGOs and big businesses to better understand the impacts and drivers of land use change in the area. The landscape around the Budongo Forest Reserve is a good example of what can happen when the objectives of the few (and most powerful) are prioritised over those of the majority. In a series of blogs I’ll be exploring the way the landscape has changed, how it may change again and options for reducing poverty and food insecurity with the hope of, through discussion, finding broader lessons applicable to landscapes elsewhere. To this end, readers, your thoughts, comments and questions are both welcome and essential. To start off the series let me introduce you to the landscape in question. 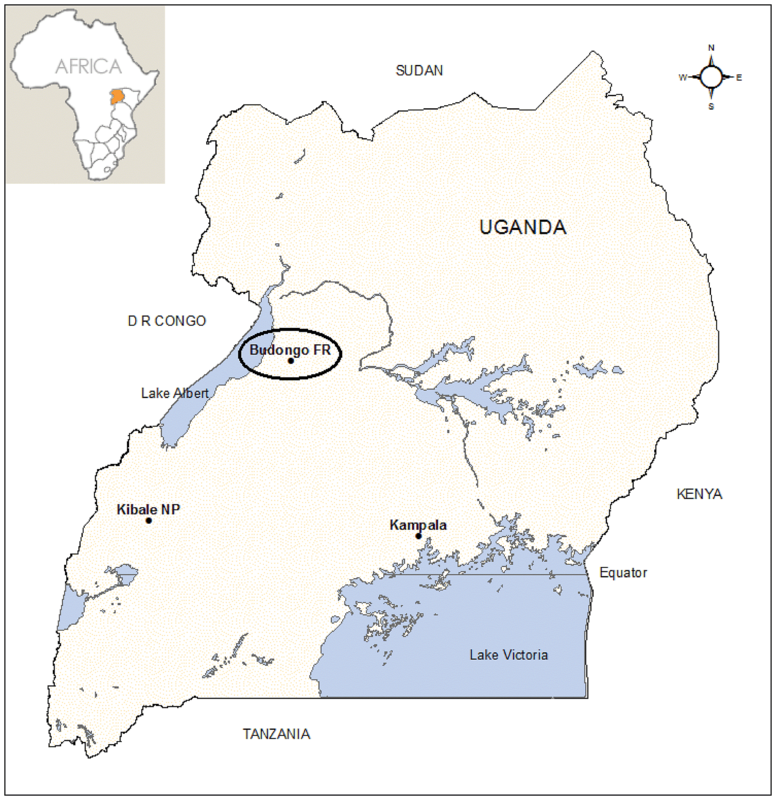 The Budongo Forest Reserve in western Uganda is one of the largest tropical forests in the country, containing the highest number of chimpanzees in Uganda. Budongo Forest is located within the Albertine Rift, part of the East African Rift, which spans five countries, and contains more vertebrate species and threatened and endemic species than anywhere else in Africa. 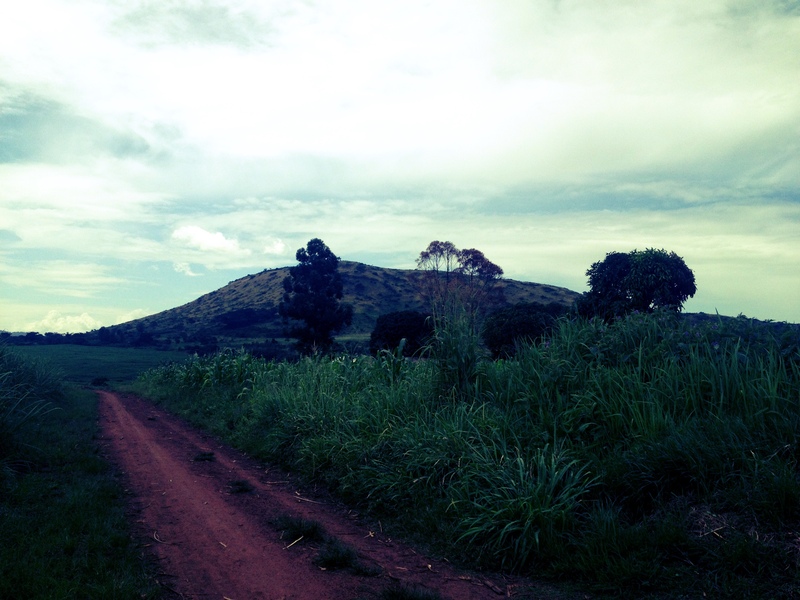 South east of Budongo Forest Reserve, the landscape is characterized by gently rolling hills and a mosaic of rainforest, woodland, grassland, small-scale farms and large-scale sugarcane farming, a mosaic that has seen marked changes particularly in the last two decades. The main land use and source of income in the region is agriculture with many households relying on subsistence farming and forest products for their livelihoods. The most important crops are cassava, maize, bananas, sugarcane and beans. 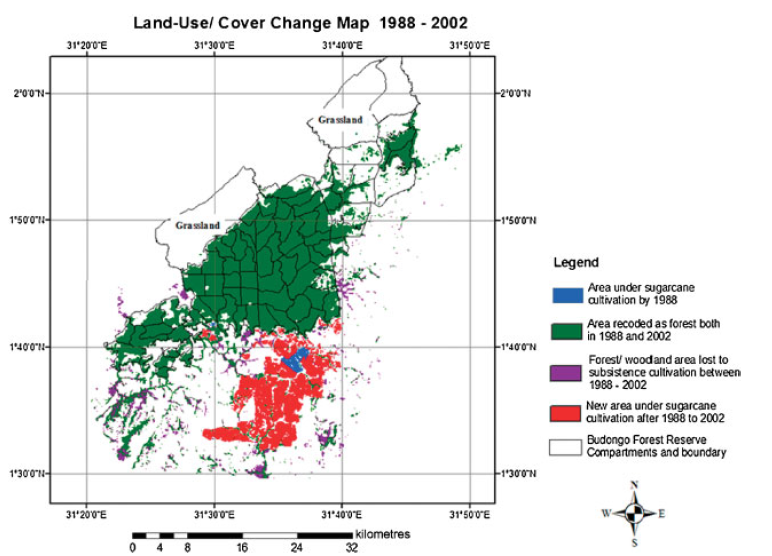 The expansion of cash crops, rapid population growth and migration from within and outside of the country driven by civil war and conflict, as well as poor forest governance have led to vast deforestation, natural resource shortages in such things as firewood and timber, and disputes between residents over, what is fast becoming infertile and exhausted, land. The soils are being depleted rapidly due to slash and burn agriculture, poor access to fertilizer and over cultivation. Many of these drivers continue unchecked and, without intervention, unprotected forest in the landscape is expected to all but disappear in the next 15 years while yields may continue their largely downwards trend. Given the importance of forests for maintaining productive agricultural land, reliable weather patterns and as a source of food, medicine and energy such deforestation is likely to have significant detrimental and perhaps irreversible consequences for the livelihoods of people in the landscape.